At Addresser Based Systems, we make every effort to offer our customers the most advanced mail equipment from quality manufacturers. Our experienced sales staff can ensure you choose the right piece of mailing equipment for the right job. This includes our diverse line of mail inserters. The inserting machines we offer vary in capacity, size, price, and compatibility. We have desktop units for small invoicing jobs along with high-volume folder inserters for full production jobs. 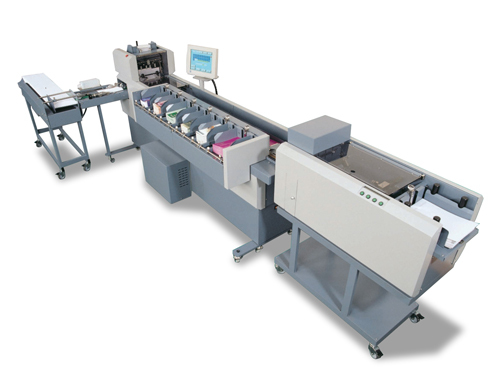 We also offer envelope inserters with cameras & scanners (intelligent inserters) for matching personalized documents, inkjet matching addresses & data (inside-outside matching), and verifying that your clients' mailing list was processed accurately in its entirety!